Home / Food and Nutrition / Can Dogs Eat Figs? Are Figs Bad or Good for Dogs? We all know that figs are included in almost every diet now, as they are very nutritious, tasty and healthy, no matter is they are dried or fresh. 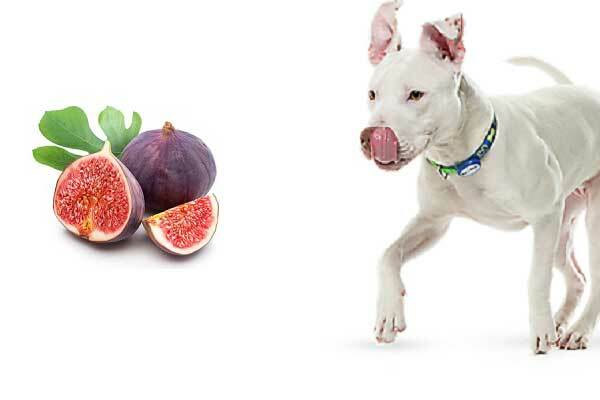 A lot of owners that prefer the healthy lifestyle also have one common question – Can dogs eat figs? Ficus is the name of the tree that grows the fruit fig, as it belongs to the mulberry family or the so called Moraceae. The taste of the fruit is very different, but in nice way, as the soft and sweet taste comes from the chewy texture, which appears to be slightly crunchy once you start grind it with teeth. Often the fresh figs are dried, in order to preserve their taste and be edible for longer, just because the fruit is very delicate. Once dried, you can enjoy the delightful taste all year, as the nutrition’s will continue to exist. There a big variety of the fruit, as you can find figs with different texture and colors. One amazing feature is the ostiole, which is a small bud-like opening, that can be seen on the top, as this helps the fruit cultivate. Interesting fact is that in the past, the fruit was used as a sweetener, due to its rich natural sugars. The fig trees are known for ages, as it was listed in many documents, also illustrated in the Bible. The trees are first found in parts of the Mediterranean and Middle East, as Greeks used to worship it, because they made special laws in order to protect it from export. The mulberry family has plenty of representatives, which means the figs come in all size, shapes, colors and textures. The most common fruits are 10-30 feet, as they flourish in warm and dry areas. Once the tree gets pollinated by a tiny wasp, the fruit won’t come out, because the flowers are inside the tree, as they will produce hundreds of miniscule seeds, as the taste of each fruit will be more than delightful. A lot of places around the world claim that the fruit is exotic, because of its juiciness and sweetness. The colors can vary from red, green-striped, purple-skinned or yellow, as the flavor in each is different. However, before the fruit reaches the optimal ripeness, it contains serious skin irritants, as the fruit is only gummy with “latex,” which means the figs growers should be extremely careful with their actions. Sometimes, the situation requires special fig production operations. Every animal needs a special care, if you want it to stay healthy and happy, as in this number the goes is also included. Once you choose to have a furry friend at home, you should be aware that the responsibilities will come with it, so you should be committed to your choice. As every animal is different, every needs its own special diet, that is consistent with its way of living and need- both digestive and nutritional. Dogs are amazing animals, as their bodies are like our- they can eat everything, but this definitely does not mean you need to put them on such regime. It is very important for you to know that they should be on the right diet, if you want to get the best out of them. The food should be limited, as the portions should be well concerted and planned. Vegetables and fruits can be given to your dog, as this is all up to you how you are going to include them into their regime of eating. This is a very smart move, as fruits and vegetables have a lot of minerals, fiber, as well as higher nutritional contents. Not every veggie or fruit has a protein in it, but they have other benefits, such as vitamins, as you should not bereave your dog from them. Fresh figs are great choice, if they are given to your dog, after being picked directly from the tree, as they still hold the vitamins and are natural. Your dog will definitely enjoy a fresh fruit. Dried figs in other hand are not recommended, as this can lead to some serious issues with your dog’s health. Other forms, away from fresh and natural figs can be harmful, as the risk is huge, so keep that in mind. Figs are very tricky food, as you need to be completely aware of the dose, as well as some other facts about them. This article will help you find out what is the best for your dog, and how to deliver it. Are Figs Good or Bad for dogs? You should definitely know the difference between those two sugars. The natural one have plenty of benefits, as it is a necessary part for your body and system, whereas the manufactured one has only bad effects and can lead to only problems with your health. The difference is huge, and you should not mistake them. The natural is always the better choice. Fiber – This is something that should be included in every diet, as fiber that are found in figs will be more than welcome here as well. Although, this is as far not the best fruit to choose if you need fiber, the calories are beating the score. Figs are excellent fibrous food, no matter that there are plenty of other choices that are richer on fiber. When your dog is craving for something sweet, figs are the best option, as they are healthy and won’t affect your buddy’s diet in any way. Potassium – Figs cannot get any better, as the potassium found there will regulate the blood pressure, as it will keep it in normal level, making everything safe. This does not mean; it is recommended for you to give your dog a whole meal that consists only figs. This is not the right way to regulate the blood pressure, as a big portion can be fatal for your dog. Problems that occur the blood pressure levels are not a joke, as you have to be extremely careful how you are treating the illness. A consultation with your local vet can be helpful, as you can both find a solution how to help your dog deal with this health issues. Beneficial for the heart – With its cardiovascular benefits, this is another reason why you should include them in your dog’s food regime. Lower cholesterol: Figs are known to contain a soluble fiber called Pectin, which helps the digestive system to get rid of the unnecessary clumps of cholesterol, as they are transferred to the excretory system and excreted from the body. Another benefit of the Pectin is its ability to stimulate the healthy bowel movements. Strengthens Bones: Calcium is extremely important element that participates in strengthening the bones. Figs are great way to get that healthy supplement in your body. A lot of doctors recommend the reception of figs, if there is a degradation or damage occurred to the bones, because of the phosphorus, that spurs regrowth and encourages bone formation. If this is going to be your first time giving your dog figs, you should be prepared for immediate action, because you will never know how its body is going to react. The chance of allergic reaction is real. There is a chance of not noticing of those signs at first, as some of them need some time to show. Just in case, keep checking you dog once in a while, just to be sure everything is fine. If there is no side effect shown after one day, you can be sure that your dog reacts good to the figs. However, if you notice something strange in your dog’s behavior and you see some of those symptoms showing up, react as fast as possible. In case, be ready to take your dog to the clinic and have a professional opinion about the situation and what to do next. It is important how fast you react, as if the dog is allergic, the things can get really bad, as the end will definitely not be pleasant. How Can Dogs have Figs? Always give your dog only small bits of figs, as this will prevent the chance of choking. Small portions with small pieces will be good for your dog’s digestive process. This will also minimalize other potential issues, such as choking. Always choose fresh figs, as the dried ones do not have a high level of water, as they are more rich on sugar. The combination of both less water levels and higher concentrated levels of sugar can be very rough for the dogs’ physical and mental wellness. If after you gave your dog a certain amount of the figs, it does not show any of the symptoms listed previously, then the dog is safe and you can start giving it more of this natural pleasure. Do not overdo the dose of 1 fig per week, because of the high sugar content found in the fruit. If you are not careful, the treat can turn into an issue, as your dog will get a diarrhea or even stomach aches. Are Newtons fig good for your dog? high fructose corn syrup, as well as sugar (13 grams/3 tsp. for 2 newtons) can unlock problems such as hyperactivity, diabetes and obesity, if you give your dog newton figs. if you overdo with the newton figs, the hydrogenated cottonseed oil can lead to a gossypol poisoning. The diet can be seriously affected because of the sodium benzoate, sulfur dioxide and some other artificial flavors. A lot of people think that making their dog’s diet more diverse, will be better, as giving the same food over and over is something that should be avoided. This statement actually is very inaccurate, as only humans can get bored of the same feeding routine. There is no chance of seeing your dog changing its taste for food you have used to buy it for years now. If something like, in other hand, show up, it is a cause for concern and you should call your vet. Human beings change their taste in food as they grow up, as the body changes and it wants more variety of food that will suit all the requirements. On first place, you should be aware of what kind of fig tree you are growing at home, as the variety of sorts is huge. The latest information given by ASPCA, the Ficus benjamina sort has a poisonous leaf, that can injure very badly animals such as horses, cats and dogs. Your dog can get an exanthema, if its skin has a direct touch with such leaf, as if it gets in their bodies, it can cause salivation, salivation, even vomiting. The Ficus tree are the type of trees that give the fruit, and this fact should be familiar to you, if you are interested in gardening. The bad thing here is that the leaves of those trees should be kept away from your animals, if you don’t want them to get hurt. One of the most common issues that come along are skin inflammations. It is very important for you to take measurements and detach the area around the tree. This is the best way to avoid unwanted troubles and complications when it comes to your four-legged fried and its health. Do not let your furry buddy approach the cordoned area, as this can bring unpleasant consequences. If after all of your attempts, your dog somehow succeeded to shallow a leaf you should immediately react and take it to the vet, as vomiting won’t be the only outcome effect. The period between summer and autumn is the time when the figs grow and are best for consuming. You need to eat them in the first two days after being picked from the tree, as figs are very delicate and perishable. The best figs are the one with plump and tender shape, that have deep and rich color and do not have bruises. The flavor and the taste of the figs is sweet. Once you take them and come home, the ripe fruit should be washed only when they are ready to be consumed. You can store them up to two days after purchasing them. If the fruit does not seem to be ripe yet, place it somewhere with good temperature and wait till it gets ripen. It is all up to you how you are going to eat them, as they are edible even with or without the sheath. The only thing you may find difficult is the chopping, as the insides of the ripe fruit are sticky or soft. Always look on the bright side of things, as figs are great choice for you to show your dog something different, yet tasty and healthy. Figs are amazing and natural, as they will import the so wanted in some owners’ diversity of the regime of eating. 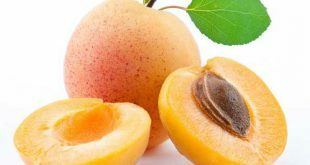 This fruit have a lot of benefits, such as natural sugars, vitamins, minerals, fiber and all that good stuff, that should be given to the dog, in order to remain its healthy and happy life. Never forget to give your dog only small bits of one fig per week, so that you can restrain from unwanted surprises. Everything is good if you know the right portion, as figs do not make exception. Next What is The Best Shampoo for English Bulldogs?